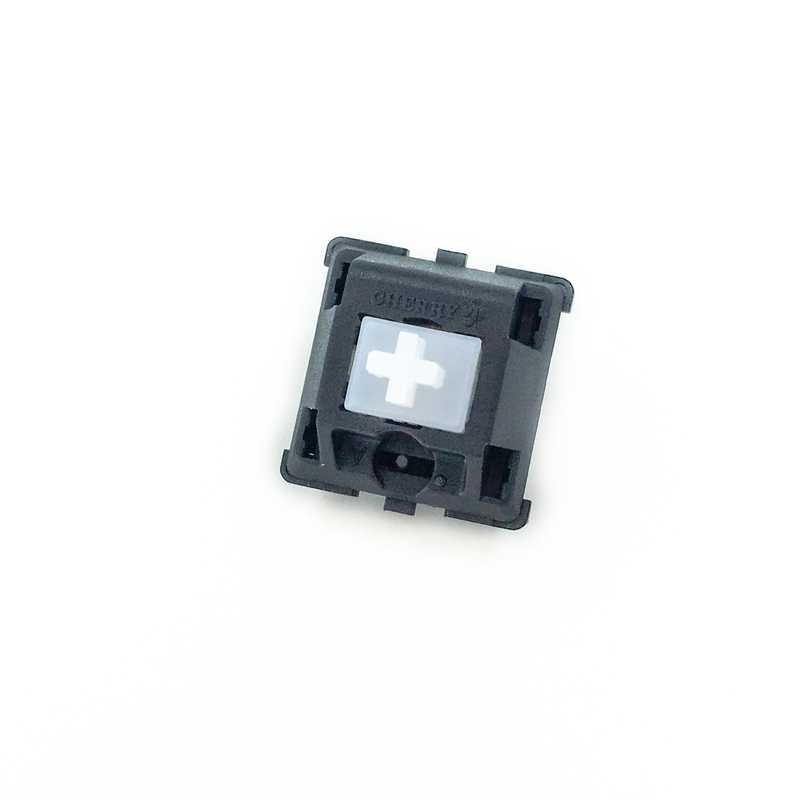 Cherry MX Clears were designed for firmness and tactility, as most Cherry models are light in both of those metrics. The switches were rare in 2010, but increasing popular demand and an expanding used market brought MX Clears into the mainstream. Their smooth, deliberate bump and relatively low noise levels made them ideal for users in quiet environments. First time mechanical keyboard users may find them too heavy or “bumpy” if they haven’t experienced heavier rubber dome variants. Enthusiasts, however, have come up with a myriad of ways to modify MX Clears. Spring swaps (Ergo Clears), chimeras (Panda Clears), and lubrication alter switch performance. If MX Browns are too light for you, MX Clears may be a viable alternative.